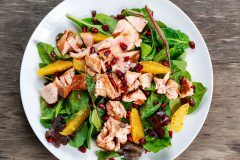 Citrus flavors such as lemon are common to see on seafood menus—the simple, light and refreshing taste pairs well with the lighter flavors of many fish and seafood dishes. 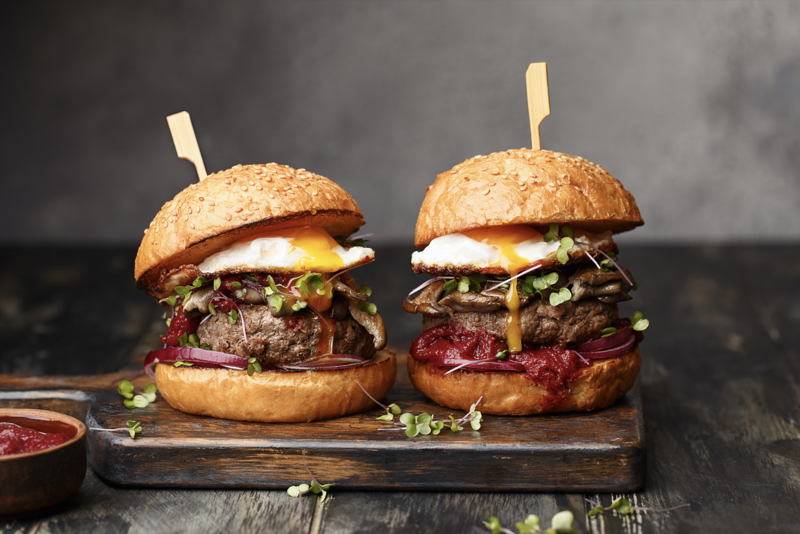 But as tasty as the combination is, sometimes diners want something a little different or unexpected. According to Technomic’s 2017 Center of the Plate: Seafood & Vegetarian report, 33% of consumers said the reason they choose seafood over meat when dining out is to try something different. When planning new and exciting seafood dishes, consider menuing new flavors as well as new formats to entice diners. 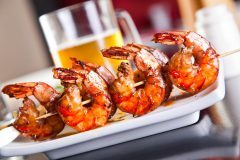 Technomic’s Seafood & Vegetarian report found that 43% of consumers said they’d like more restaurants to offer seafood dishes with new or unique flavors, while 37% say the same about ethnic seafood dishes. 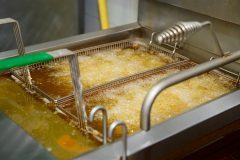 The most popular method of flavor infusion is preparation style—such as grilled or fried—followed by the addition of seasonings, spices, sauces, spreads, condiments, marinades or glazes. Add flavor to fish dishes by changing up the preparation method. For instance, try Chipotle Honey Cedar Plank Salmon. Marinate the salmon in a blend of Smokehouse 220 Chipotle Honey Barbecue Sauce, green onions, ginger and cilantro, then place it atop cedar planks and top with orange slices to infuse smoky and citrus flavors. Other flavors that are growing quickly in seafood and fish dishes, according to MenuMonitor, include Thai basil (up 13% year-over-year), cherry (+10%), turmeric (+9%), oregano (+7%) and togarashi (+6%). 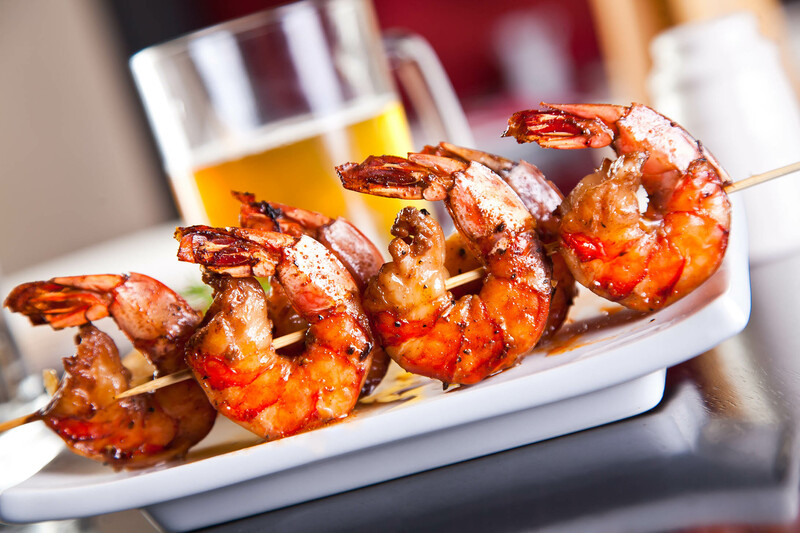 For diners who are looking for more ethnic seafood dishes, global spices and seasonings can boost the menu. Additionally, drawing inspiration from popular cuisines and adapting them to include fish and seafood can be a big win. Technomic’s Seafood & Vegetarian report found that 55% of consumers said they would be likely to order fish tacos if they were on the menu. Try menuing Chipotle BBQ Fish Tacos with Mango Salsa. With fresh, fruity flavors and smoky chipotle barbecue sauce, it’s a dish that’s perfect for any white, flaky fish such as tilapia, halibut or mahi-mahi. 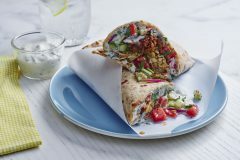 Other options for new or unexpected formats can include poke, fish burritos, fish skewers or fish nuggets. Fish and seafood are often considered healthier options on menus, but that doesn’t mean they have to be lacking in flavor or appeal. With an updated format or a few new flavors added to a dish, it’s easy to pique diners’ interest. Branch out from the norm, and try fruits, global influences, smoky chipotle and barbecue flavors. 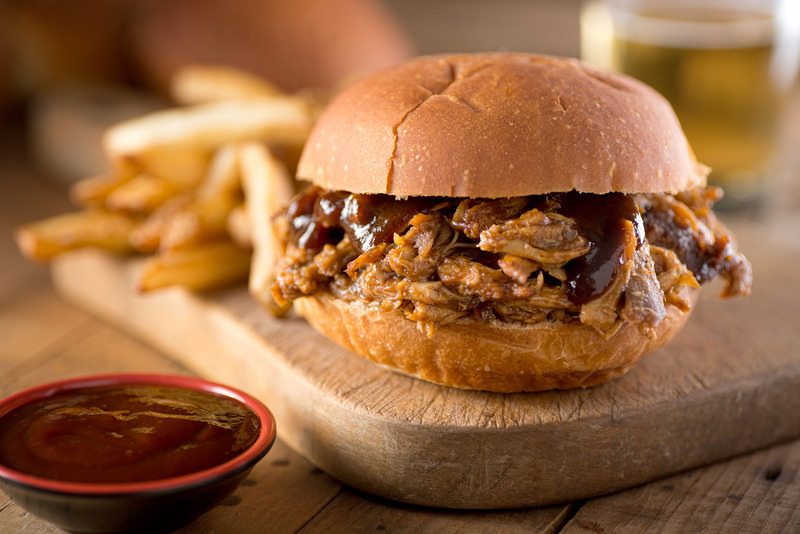 Barbecue dishes are among the most popular on many restaurant menus. 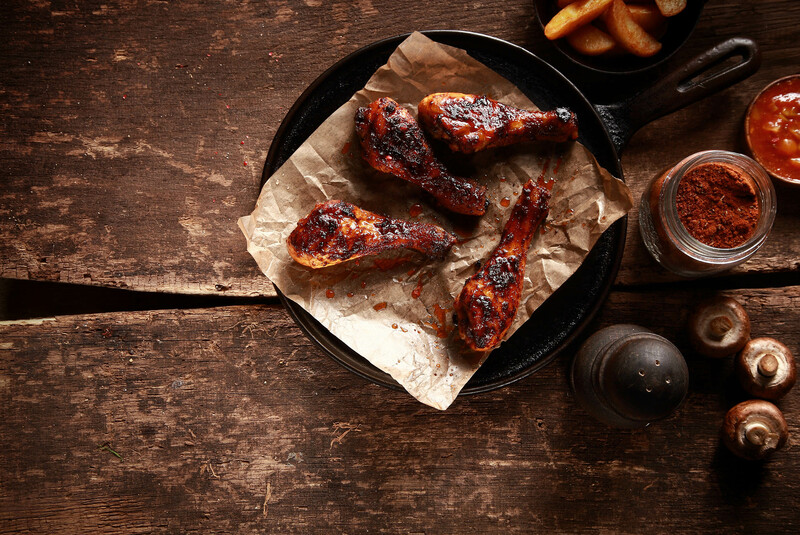 From barbecue chicken wings to pulled, smoked meat sandwiches to ribs, barbecue presents an array of classic dishes that diners know and love that are sure bets for restaurants. But for diners who want something new and interesting—66% of consumers say they like trying new flavors from time to time, and 16% say they actively seek out new flavors to try on a regular basis, according to Technomic’s recent Flavor report—the wide range of options that barbecue dishes offer are intriguing and will have diners clamoring to taste them in no time. Fish and seafood get a squeeze of lemon and a sprinkle of pepper all too often. Amp up the flavor by serving Chipotle Honey Cedar Plank Salmon or a BBQ Shrimp “Po Boy.” Featuring Smokehouse 220® Chipotle Honey Barbecue Sauce and Smokehouse 220 Honey Barbecue Sauce, respectively, these dishes take seafood’s delicate flavor and turn the volume up to 11. The Po Boy is perfect for lunch menus, while the salmon can’t go wrong as a dinner special. Pizza toppings are typically fairly straightforward. Pies with pepperoni, sausage, peppers, onions and mushrooms are expected, and ones with pineapple and ham have hit the mainstream (despite the perpetual debate over whether or not the fruit belongs on a ‘za). Try kicking that flavor trend up a few notches with Hawaiian Pulled Pork BBQ Pizza for a smashing success with the pro-pineapple folks. 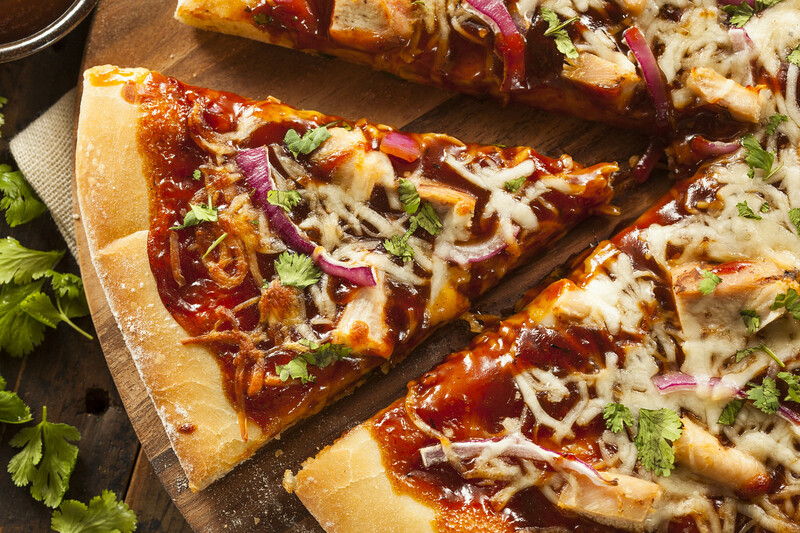 Topped with Smokehouse 220 Smoky BBQ Sauce, plus pineapple chunks, red onion, pulled pork and mozzarella, this pizza goes the extra mile and is the perfect shareable option for the table. Chicken wings are a leading appetizer, with 25% of the top 500 limited-service restaurants serving them, according to Technomic’s 2017 Starters, Small Plates & Sides Category Menu Insights report. In other words, they’re a definite popular choice for diners. 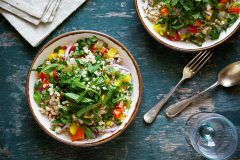 On top of that, consumers are increasingly seeking out more ethnic flavors—according to Technomic’s 2018 Ethnic Food & Beverage report, 35% of consumers 18 to 34 years old say they are eating more unique types of ethnic foods and beverages now than they were two years ago. To appeal to these diners, Asian-Style BBQ Chicken Wings are a craveable appetizer that’s a snap to prepare. After baking or frying the wings, top them off with Smokehouse 220 Sweet & Spicy Barbecue Sauce, brown sugar, sriracha, teriyaki sauce, ginger and garlic. Garnish with peanuts, green onion and red- or green-sliced chilis for a knockout dish. Barbecue isn’t commonly seen on morning menus, but there’s no reason not to change that with dishes such as Tejas Style Barbecue Shrimp & Grits. Prepare the grits as normal, add sauteed onions, jalapenos and corn for a southwest kick, then top with sautéed shrimp that’s been tossed with Smokehouse 220 Smoky BBQ Sauce. Garnish with chopped parsley and a lime wedge, and watch diners dig into a traditional breakfast that’s been given a modern makeover.